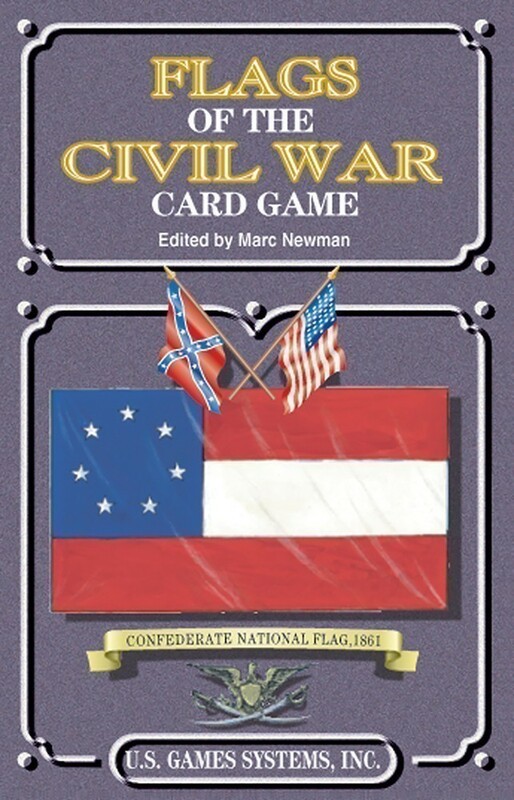 The Civil War Series Card Games honor the people and the events of the war between the two factions of our young nation. 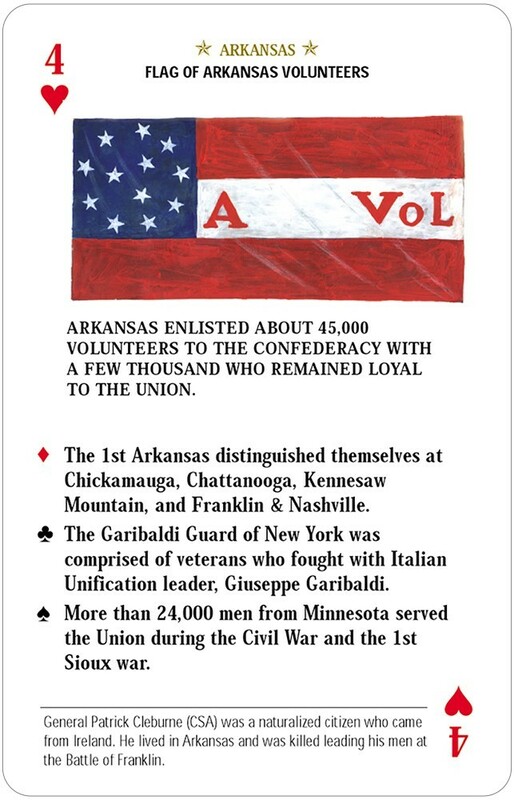 Instructions are included with each deck. The decks may also be used for most standard card games. 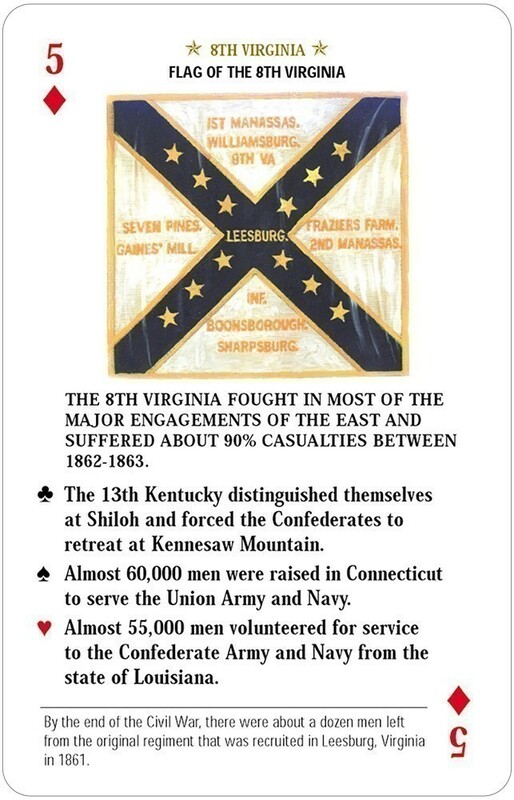 Each card shows a different image of a Union or Confederate battle flag of the Civil War. 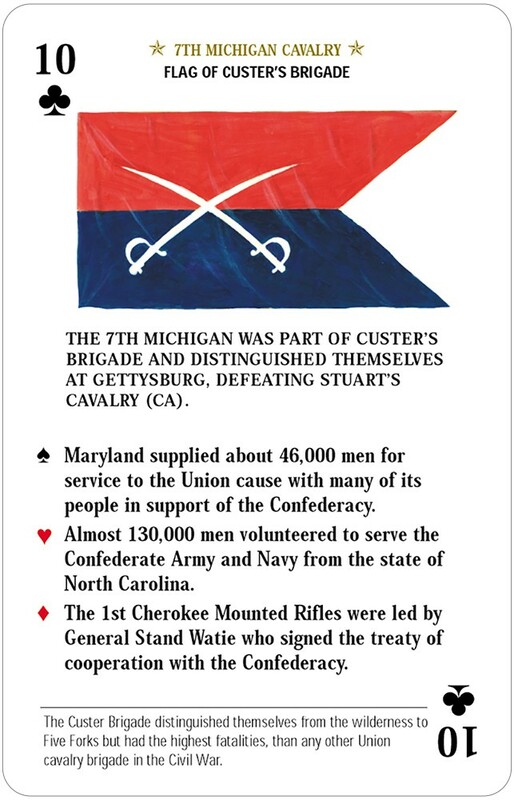 See also: Arms and Armaments of the Civil War, Uniforms of the Civil War, Famous Battles of the Civil War, Famous Generals of the Civil War, Famous Women of the Civil War, and Civil War Series Card Game 12-deck Display.